Foraminal stenosis surgery is performed when more conservative means of care can not resolve problematic compressive neuropathy conditions affecting one or more of the spinal nerve roots. There are many different procedures which may be utilized as part of a surgical treatment plan, depending on the causative nature of the foraminal blockage and other case-specific criteria involving the patient themselves. Neuroforaminal stenosis is defined as a narrowing or blockage of the spaces through which the spinal nerve roots exit the central spinal canal. This condition can be found anywhere in the vertebral column, but is most often seen in the lowest lumbar levels and the mid to lower cervical levels of the spine. The scope of this article will discuss surgical interventions which can relieve stenotic change and decompress pinched nerve structures. First, the diagnosis must be logical, sound and completely correct. If the diagnosis is not right, then any surgical procedure is doomed to poor results before it is even performed. Remember, many instances of foraminal stenosis are not definitively verified to compress any nerve tissue. Second, conservative care practices should be attempted first, unless the situation presents a medical emergency. Third, the expectation for a full recovery and a resolution of symptoms must be positive or there may simply be far too much risk with not enough reward potential to actually undergo such a drastic treatment. Finally, the patient should have received multiple opinions from various types of doctors, all confirming that surgery is the best course of action for the diagnosed condition. Discectomy is the most common back surgery technique in the world and is used to treat foraminal stenosis due to bulging, herniated and ruptured intervertebral discs. Discectomy can effectively treat central, paracentral, foraminal and extraforaminal herniations which may block parts of the foraminal openings. Laminectomy can be used to treat many types of stenotic conditions, including disc and bone issues. In this operation, the central canal and/or actual foraminal space can be surgically increased in size to free the compressed nerve tissue. Foraminotomy is a less invasive and equally potent technique which can simply enlarge the affected neuroforaminal opening. Spinal fusion is often added to any of the above procedure when the spine is not stable, when significant structural issues exist at multiple vertebral levels or when a symptomatic recurrence is feared. Fusion is a very dangerous notion, since it deprives the spine of its most basic inherent protective design characteristic: flexibility. 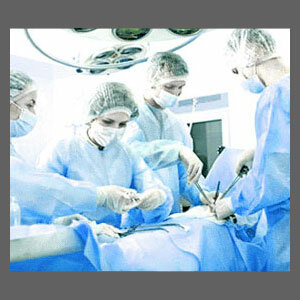 Back surgery is a scary proposition, often featuring very uncertain results. If the diagnosis is correct and the procedure goes perfectly, there is a good chance that the condition will be cured, hopefully forever. However, even when all goes well, there is always the chance for complications to set in, including infection, scar tissue, nerve damage or simply poor results. It is wise to avoid surgical interventions when possible; so to that end, I suggest looking into curative modalities which may achieve more patent neuroforaminal openings without an invasive approach. The only true method of care which qualifies is nonsurgical spinal decompression, but this treatment is only indicated for some sources of foraminal stenosis. To learn about all your options for surgical and nonsurgical care, talk to your spinal neurologist.